Canadian center Khem Birch is the new addition of Olympiacos, as he has signed a two year deal with the team, which includes an opt out option for the summer of 2017 with a total net salary of 1,1 million euros. The 23 years old player (2.06 m.) after an impressive season in Turkey with Usak Sportif, during which he played also in the BSL All Star Game, Birch is ready for the next big stop in his career. Born September 28, 1992, Birch played college basketball at Pittsburgh and UNLV before going undrafted in the 2014 NBA draft. Since then he played for the Washington Wizards, the Miami Heat and Sioux Falls Skyforce as an affiliate player. However in Turkey and Usak he proved that he can be an asset in Europe as an undersized center. His athletic abilities is what made Olympiacos sign him in order to replace Othello Hunter who is heading for Real Madrid. After all the Reds tried to get him during the season, after the injury of Patrick Young. Birch ended the season averaging 10,4 ppg, 8,9 rpg in 26 mpg in the Turkish BSL. 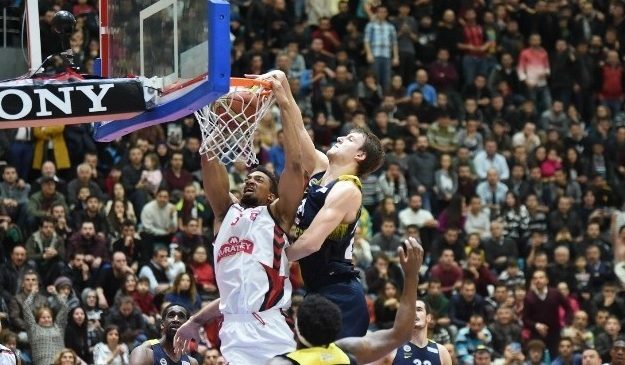 UPDATE: Olympiacos officially announced Khem Birch, the team’s first new transfer for the upcoming season.